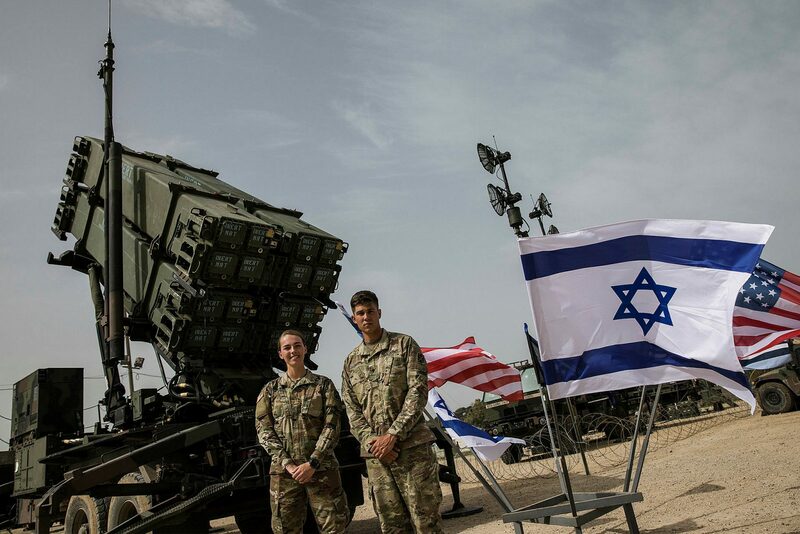 Some 300 American troops and 400 IDF soldiers on Thursday kicked off the first-ever “Juniper Falcon” exercise, performed by the Israeli’s Air Force’s Air Defense Division in cooperation with the USEUCOM (United States European Command), the main IDF-US Army exercise of 2019. The week-long drill simulates the arrival and rapid deployment of US forces to Israel to provide assistance in missile defense and includes real operational orders which may be executed in the future. Training is taking place in several theatres, including the IAF’s Hatzor base in the south and the IDF Headquarters, with an emphasis on mutual training by the Air Defense Division and its US counterpart. The code name of the drill may sound familiar, but an exercise like this has never been held before. This exercise is taking place approximately a year after the “Juniper Cobra” exercise was held, as part of which Israeli and US Forces simulated the execution of operational orders regarding missile defense. While the “Juniper Cobra” exercise commenced with the US forces already deployed across various sites in Israel, “Juniper Falcon” also tests the forces’ arrival. “The exercise allows us to familiarize ourselves with the operational orders at hand even better,” said Col. (Res’) Erez Elimelech, Head of the Exercise Directorate. “In the past, we would train alongside the US forces once every two years, but now we do it every year. The forces’ arrival at Israel from Europe and their deployment here is a very significant stage of the complex process, which includes multiple logistical intricacies, especially seeing as the activity occurs during wartime”. Elimelech emphasized that the cooperation between Israel and the US is continuous and permanent. “Our friendship makes our work simpler. Interpersonal relationships are very meaningful and help solve many problems,” he said. “The exercise is designed to enhance our interoperability between both nations’ militaries and ensure our men and women are ready and prepared for any contingency, particularly those of ballistic missile defense and crisis response,” USEUCOM stated. “Juniper Falcon, in keeping with the long-standing strategic partnership, is planned well in advance as part of a routine training cycle designed to improve cooperation. The exercise has been in planning since early 2018 and is not tied to any real-world events,” it added. The exercise commenced a day after the US announced it would purchase Iron Dome missile defense systems for immediate use by the US Army as part of an agreement between the Israeli Ministry of Defense and the US Department of Defense.